John Thomas was born circa 1808. He was the son of Hugh Thomas, a labourer. 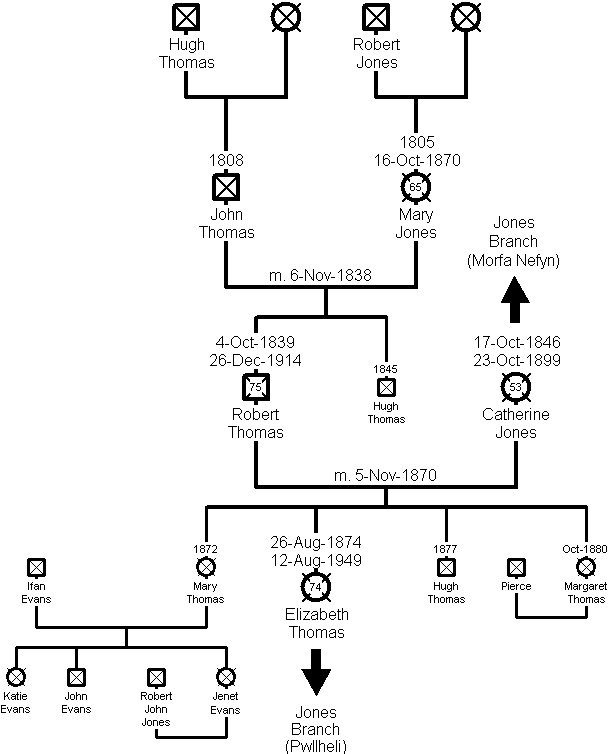 On 6 November 1838, he married Mary Jones, the daughter of Robert Jones, a labourer. At the time, John was also a labourer, but he later became a farmer. John and Mary lived in a small cottage called Craig y Llan, in Church Street, Nefyn, Caernarvonshire. They had two children, the eldest was called Robert Thomas and was born 4 October 1839. Robert Thomas was born on 4 October 1839 at Craig y Llan, Church Street, Nefyn. He later became a mariner. He worked on various ships, mainly schooners in the trade of shipping cargo between Caernarvon and other ports around the coast of the UK and occasionally to mainland Europe. On 5 November 1870, he married Catherine Jones the daughter of Hugh Jones, and on 26 August 1874, their second child, Elizabeth Thomas was born in Well Street, Nefyn. The family later moved into Craig y Llan, Church Street, Nefyn (probably after the death of his father John Thomas). Catherine died on 23 October 1899 and Robert died on 26 December 1914. Both are buried at Nefyn Cemetery. 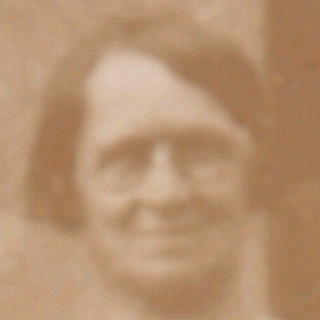 Elizabeth Thomas was born on 26 August 1874 in Well Street, Nefyn. On 17 April 1897 she married Robert Jones from Pwllheli, Caernarvonshire. Robert’s occupation was a plasterer. After marrying they lived at 1 Back Caernarvon Road, Pwllheli, but on 17 April 1899, their second daughter Catherine Jones was born in Well Street, Nefyn (The same street as Elizabeth). Robert was now working as a slater and plasterer. The family moved south to Abercynon, Glamorganshire, and Robert started working down the coal mine as a sumper. Robert died on 26 December 1943 and Elizabeth died on 12 August 1949.